Have a tired-looking crowd control system? 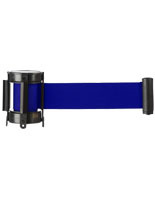 Replacing your retractable belts is a good way of adding more life to your stanchions. 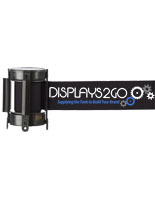 Normally, stanchion posts can last a lifetime due to their metal construction. On the other hand, the retractable belts can be susceptible to wear and tear since they are a spring-loaded mechanism. Customers like using barrier belts instead of ropes for many reasons. For starters, they store and stay inside the cartridge - no need to handle separate ropes or protect them when not in use. Another feature is their flexibility. In the case of a stanchion & rope crowd control system, care must be taken to evenly space each post in order for the ropes to hang attractively. 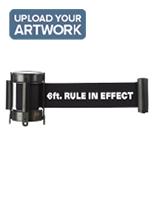 Retractable belt barriers do away with this requirement with its spring-loaded action. Simply pull the belt to the next post and clip it to the head. 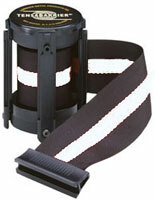 Unlike the ropes, the belts look just the same at three feet as they do at nine feet. 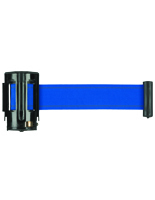 We sell these replacement cartridges in a variety of barrier belt lengths in order to accommodate your particular layout. What kind of stanchion post cartridges do we offer? 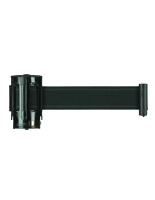 These retractable belts are designed for two types of crowd control lines. 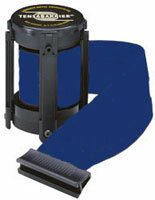 Economy models go with our proprietary QueuePole line, while the deluxe styles fit onto the upscale Tensabarrier line. The housings for both brands attach to the top of the stanchion posts via 4 screws. 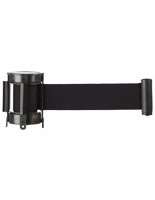 Belt lengths are available in 6.5, 7.5, and 13 feet. 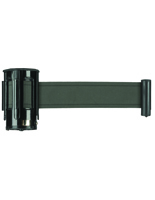 Each cartridge features a 4-way adaptor. One side comes attached with the belt while the other three offer 90° and 180° connection options. Custom belt printing is an option on our QueuePole line. Personalize your business with logos and/or messages to further your brand. Custom silkscreening is available in one to three colors. 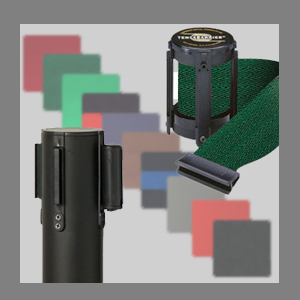 Our QueuePole belts come in four standard colors: black, gray, red, and blue. Tensabarrier models come in 10 colors with three featuring striped designs. 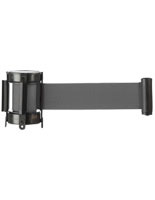 While you may need to replace one of your mechanisms due to breakage or tampering, it's always a good idea to keep a few extra on hand. Just replacing your old cassettes with new styles makes your crowd control barrier look like new!